A woman will have an estimated 450 menstrual cycles during her lifetime; using upwards of 17,000 sanitary pads or tampons comprehensively. To the women belonging to countries who incorrectly label feminine supplies such as sanitary napkins as luxuries, 450 is the number of missed opportunities to feel supported, humane, hygienic and dignified. Wits University, Johannesburg (a South African province) is working to implement policies that impact this way of life in a positive way – one feminine hygiene donation at a time; coupled with initiatives aimed to educate women of childbearing age and their communities alike. 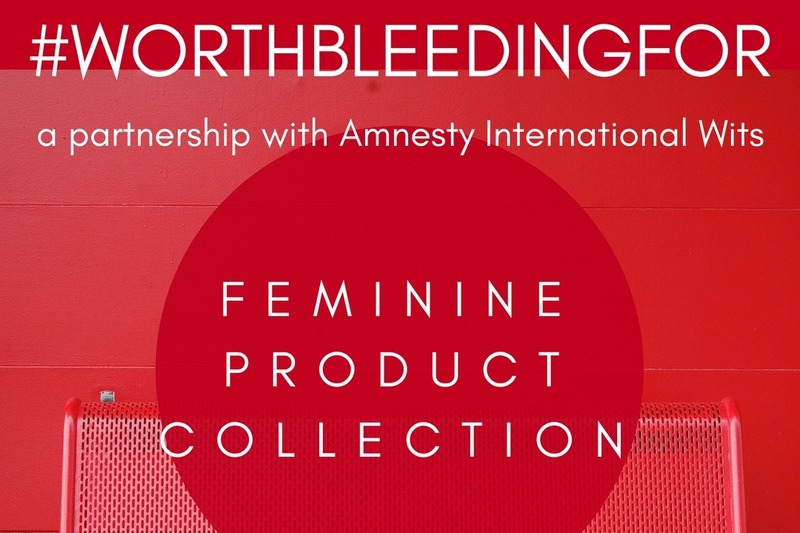 WORTH BLEEDING FOR (in partnership with Amnesty International Wits) and Genre: Urban Arts stands wholeheartedly behind the following: Anything that sheds does so with the purpose of regeneration. Without women everywhere experiencing a monthly cycle, none of us would be here. Menstruating women should be merited the opportunity to experience periods without repugnancy and in the healthiest way possible. We need your help! Visit the link to learn more about the WORTH BLEEDING FOR initiative and to see how your donations can help. Genre: Urban Arts will be hosting this collection from June 2nd to August 30th. All donations, including feminine products and monetary donations, will go directly to Amnesty International- Wits to assist their community in maintaining the dignity of women. Leaders for this initiative are Nakeysha, Creative Director & Shimah, Managing Editor.